I do my best to keep up my enthusiasm. 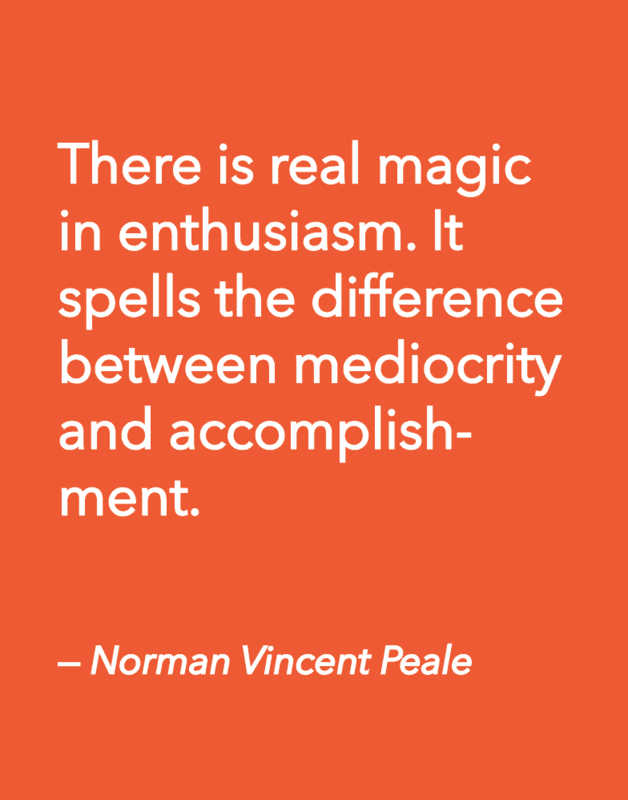 Enthusiasm is powerful. Enthusiasm is contagious. Enthusiasm can really bug people who are not so enthusiastic…but in most cases, can still manage to win over almost anyone with its sheer force. Every now and then, however, I meet someone who makes me feel like a wet blanket. 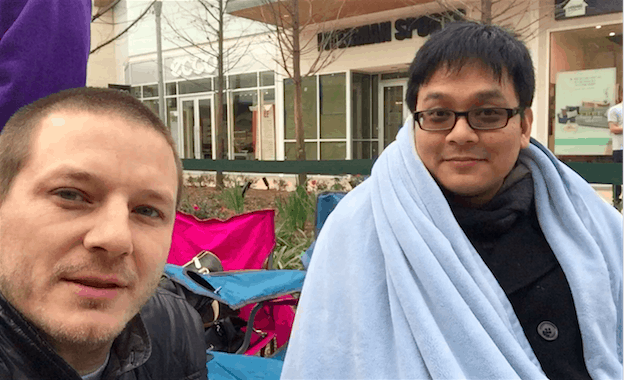 This weekend at our Grand Opening event in San Francisco I met Eric, a Lovesac super-fan who was not only uber enthusiastic, but who also had an inspiring reason to LOVE his Sactionals. We’ve heard unique applications and uses for Sactionals, before, but this is one I had never, ever heard before. Be inspired! Check it out on my vlog and leave a comment for Eric if you appreciate his story. I’ll be shocked if he doesn’t at least make you smile. Just know: we are not just selling couches—we are selling a better way to live. In our own unique way, we genuinely can make people’s lives meaningfully better. 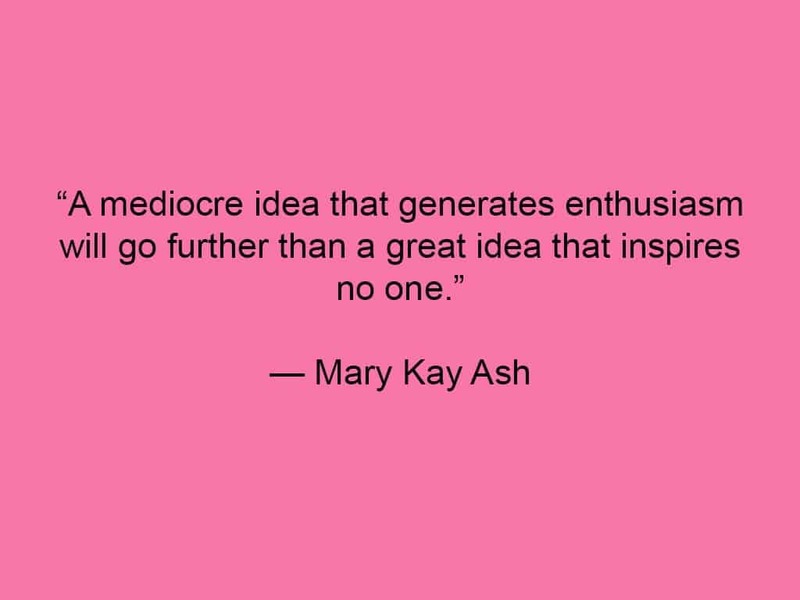 Stay enthusiastic about it. Nobody can argue with enthusiasm. More and more customers find me directly on Twitter, Facebook, or Instagram and reach out directly with ideas, questions, and of course plenty of complaints. I do my best to respond to each of them. Its one way I’m able to keep in touch with what’s really happening—how things really are. Undoubtedly we have lots of room to improve in so many areas. But along with all the suggestions and complaints are equally as many celebrations of love for our brand, our products, and quite often: our people. There are lots more where those came from. THANK YOU to Nikki and team—the whole Customer Love and fulfillment teams who makes us look so good, even after we don’t. Thank you to all of you on the front lines who are the heartbeat of this company. People love you, and this makes them love us, and that equals success—for all of us. As I’ve been making the frontline rounds this winter, I’ve been asking Sac’rs everywhere what the like about working at Lovesac. I’ve gotten lots of creative answers—but the two I hear about most: The People…and The Culture. No doubt we have our shortcomings as a company, and as a culture. But somehow, many of us seem to enjoy it, overall, and I am very grateful for that—and proud of it too. I had a funny thing happen yesterday on the road, that caused me think about traditions, and building traditions, and the impact that can have on culture. I vlogged about it, and got some great insight from Sac’rs I visited on the road. Enjoy if you like: https://youtu.be/f9hSR1T9xqU. And even while I was on the road, a random chips-and-dip party happened at HQ, that I was actually kind of bummed to have missed! I kind of hope it makes it into tradition. Big or small—serious or silly, I am thankful for all of the cool, funny, and weird traditions you have built in your departments, your stores, and within this company that have contributed to our living breathing culture. Let’s keep going. 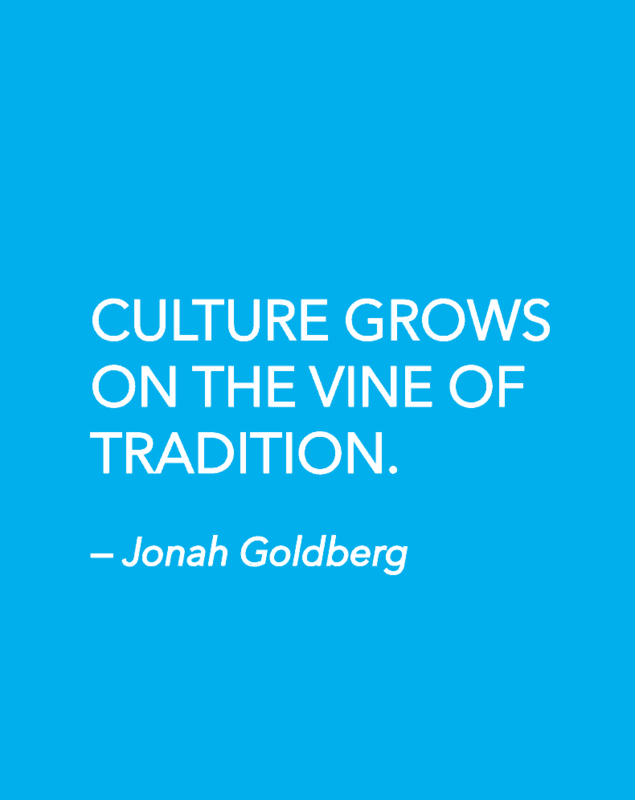 Let’s keep traditions growing. And if we have to spend so much time at work, let’s continue to make this an ever better place to be. Thanks for all of your efforts. 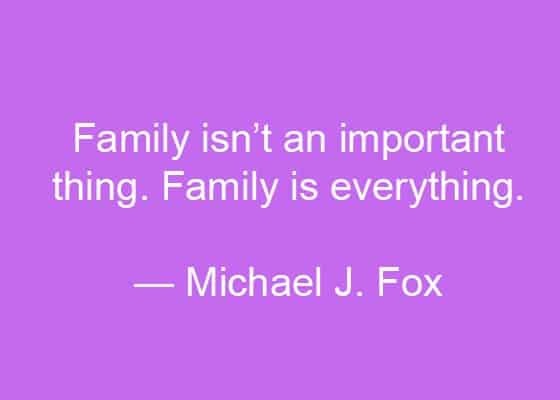 Love our #LovesacFamily. One of our “permission to play” values at Lovesac is: Passion. I think that most of the time when people think of “passion,” they conjure up images of excitement, energy, and action. Enthusiasm is powerful, but can be short-lived, and is more of a symptom or a result, than it is a deep-rooted disposition. Passion is deep. 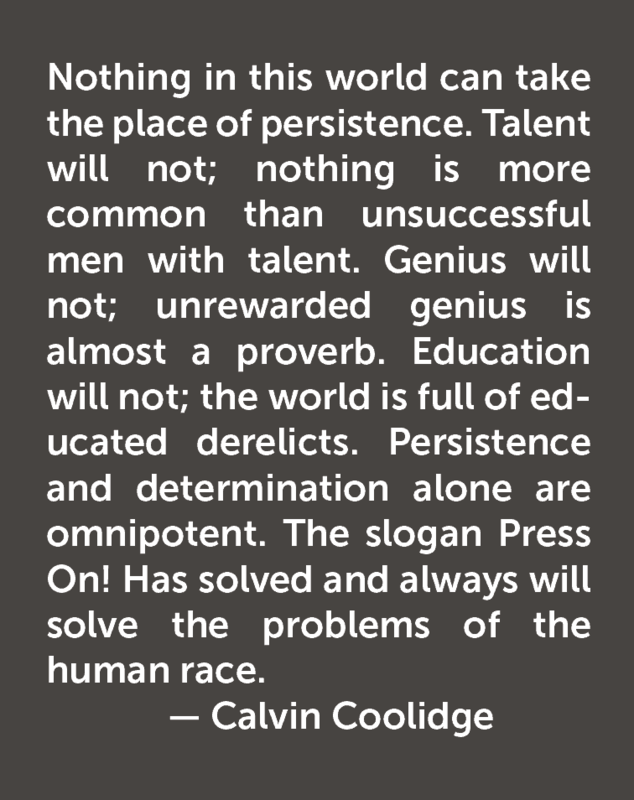 Passion is persistent. Good days…bad days…everyday is conquered again and again by those who are truly passionate. Those who can just dig it out. Lovesac people are passionate. Lovesac people are persistent. Lovesac people are persistent. I live in a 210 year-old house that was built only 30 years after America became America. It was built before air conditioning, electricity—even indoor plumbing. 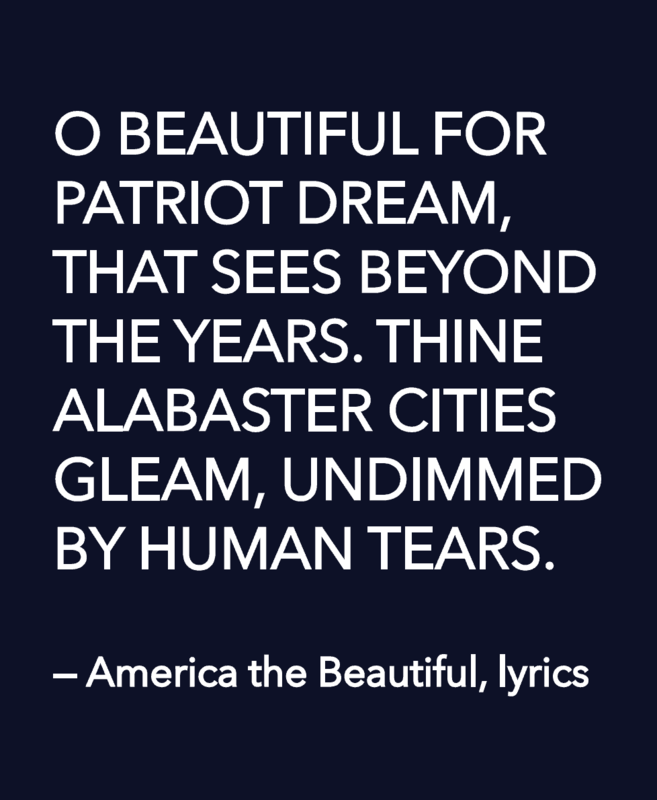 The patriots who had a vision for what this (originally inhospitable) land might become truly did see beyond the years. They could not have fathomed the scope or scale, and they could not have imagined the modernity. They had a vision nonetheless. They gave their lives to make it happen, to smooth it over, improve it, and lay the foundation for our families to live and even thrive here. The opportunity to start a business at 18 years old and build it into something that could ultimately provide jobs for many is not totally unique to America, but it is very “American,” and I am grateful for every opportunity I’ve been afforded here. For all of America’s shortcomings, ongoing challenges and growing complexities, I am still very proud to be an American. I am thankful for this company and for the livelihood it provides to me and to others. I am grateful that we collectively have this vision to liberate every household from the zombie furniture that holds them captive—even without them knowing it. As silly as that sounds, within our small niche, it is not so different than the vision the founding fathers had for this great nation 200+ years ago. With a little vision and lifetimes of work, entire realities can be created—great things can happen—things that cannot even be imagined at the time they’re set in motion. Together, we are audacious dreamers. We are making it happen. We are absolutely living up to our professed core values..
We are all part of something great—and we are still just getting started. I hope you had a great 4th of July! I did—thanks to you. The company certainly did—thanks to you. You are making it happen. Last night I had the pleasure of spending a few hours with the crew at Lovesac Mission Viejo in Orange County, California. I got to work with two longtime Sac’rs and two brand new Sac’rs there. They are dedicated, hard-working, and generally awesome! Everywhere I go I get to meet amazing Lovesac people who are smart and capable, who have chosen to spend part of their careers with us. Its my absolute favorite part of this company. Today I will get to spend some time on the floor of our brand new remodeled new-concept store at Thousand Oaks. I can’t wait! The Thousand Oaks store (and all new store openings and remodels hereafter) is designed to pull people in—to intrigue them not with a “6-foot beanbag” but with imagery and display that speak to the uniqueness of Sactionals. The interior of the new store concept is built to help educate and give credibility to our brand and to our product like never before. 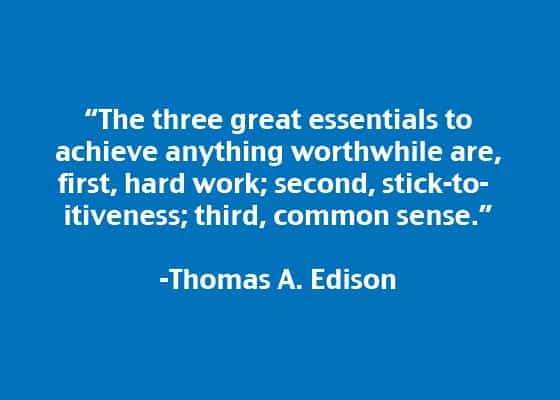 But once again, for the (probably) 1000th time in my life, reviewing the Sactionals demo and sales process with the team at Mission Viejo, I am reminded of how much we count on YOU to drive this business forward…and we always will. Whether you are at HQ, in the stores, or working remotely: Lovesac will only ever be as good as its people. It took great designers, architects, and marketers to conceive and build our new store concept. It takes great people in IT, supply-chain, and accounting to build and refine the systems we run on—we know we have a lot of room for improvement. It takes customer service people who are willing to go above and beyond normal expectations to take care of our demanding customers. I could go on and on, in every area of the company, but the bottom line is this: WE CAN STILL DO BETTER. WE MUST STILL DO EVEN BETTER! Are you an A Player? 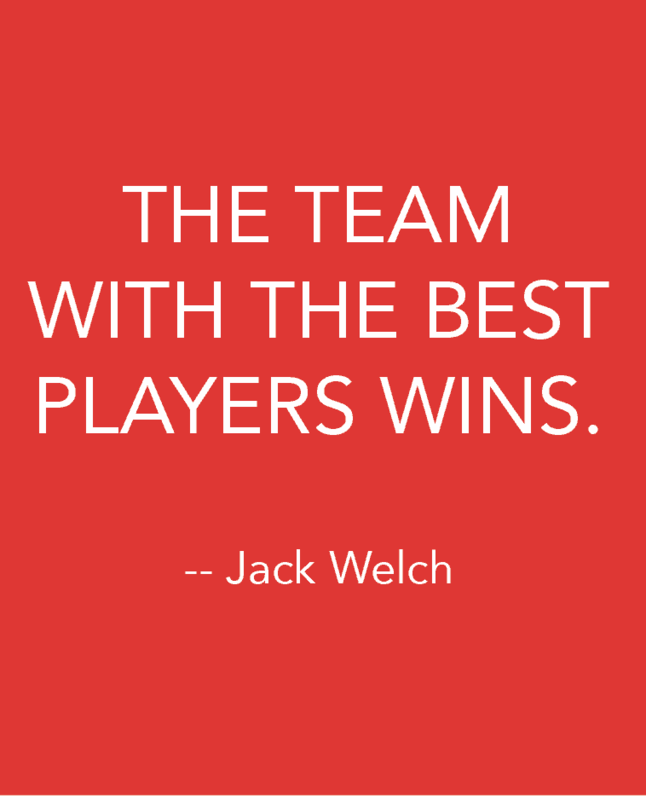 Is everyone on your team A Players? What can you do to become one and to advance those around you too. It is totally okay if you feel the slightest doubt as to whether you are one or not. In fact, I believe we should all have our misgivings here—that is how we stay sharp enough and teachable enough to become one! But if you are not, or if you worry that you are not—just get working! Push yourself. Be humble enough to learn, to be an insatiable learner, to seek out mentorship from other A Players. As we strive to attract more A Players to our team, and become ones ourselves, more A Players will want to join our team. And then, as Jack Welch put it in the quote above: WE WILL WIN. Its really that easy. Thank you so much for all of your collective hard work. We’re on our way!! These shared values of ours are all very carefully and intentionally worded, and I love the phrase: insatiable. Are we insatiable? Are we never satisfied with ourselves—with our own knowledge and abilities, our performance and our output? Our “permission-to-play” values are those values that one should have just to “have permission” to be on this team. Are the people around us insatiable learners? How can we do better to continue to inspire both ourselves and those around us to live up to this demanding value? Whatever method you embrace: be an insatiable learner. You are Lovesac. Passion acts like a magnet that attracts us to its source. We are drawn to people who radiate with passion, who live with passion, who breathe with passion. Your passion is your true power. The more you discover and express your passion for life, the more irresistible you will become to others. Are you passionate about what you do? We claim passion to be one of our “permission to play” values here at Lovesac. IE: If you are not _____ you really shouldn’t choose to work here. Maybe a better question is: Can people tell that you are passionate about what you do? Do you really care? Do you love it? Is it obvious? Being passionate goes so much further than just caring about what you do. If you are passionate, you are driven to excel; You are driven to make things happen; You are overtly, enthusiastically, and undeniably totally engaged in what you are doing…whether that passion is for “Lovesac” and our mission, or whether it is about your specific role and the work you do. Every one of you knows someone in your life who seems to be more passionate about what they do than you are. Study those people. Chase that kind of spirit. It may feel “fake,” and it may feel forced, but like every behavior, if you engage in it long enough it will become habit, and you will be remarkably more powerful for it. 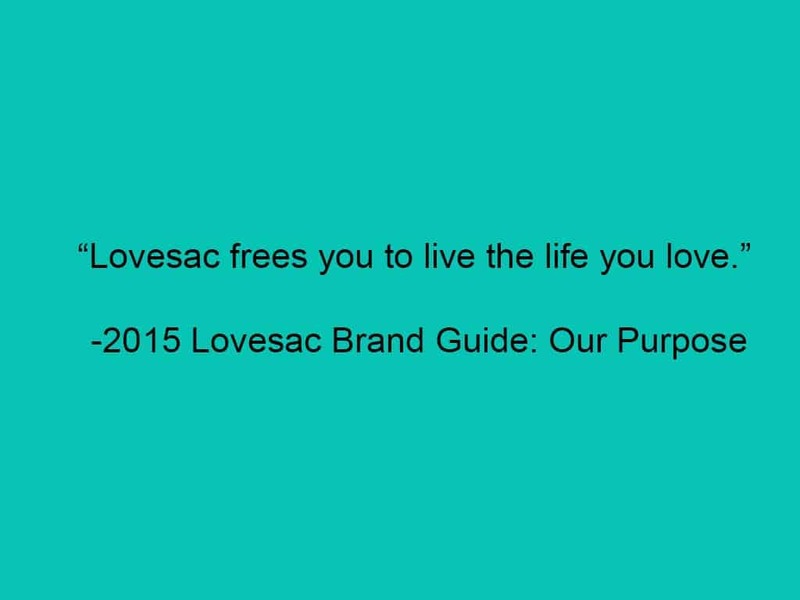 At Lovesac we are passionate about what we do. As silly as it sounds, I am actually passionate about the idea of liberating people from the zombie couch that currently holds them captive, without their even knowing it. I genuinely want people to be able to live as freely on their couch with their children, pets, friends or popcorn as I do in my own home. We all contribute to making that happen in our own way—whether at HQ or out in the stores. Could you be more passionate about what you do? Can you find the angle that allows you to be passionate about your role here? You will be happier if you do….and you will be way more successful too. Thanks for all you do. We are on a roll. Let’s keep it going! In my recent blog post summarizing our Baybrook Grand Opening is a short video of some conversations I had with the people who waited (some of them overnight) to be in line for our celebration there. You’ll meet Tom, who drove all the way from Louisiana just to add to his Sactionals collection to complete a moon pit! What got edited out of this video, for time’s sake, was him explaining to me that he’s been collecting Sactionals Pieces for a couple of years now, having even bought a few pieces from Craig’s List. It would be easy to wince at the notion of people buying our product off of Craig’s List or eBay, but every time I hear of this happening it actually makes me happy. It shows me that our product has real value. It proves that our product has longevity. Most other couches or beanbags would be long in the landfill or left at the curb when ours will still be going strong—maybe even with their second owner, if their first home just didn’t work out for some reason. We truly do sell the only couch designed to be with you the rest of your life. We should be proud of that. If we can somehow reach more people and really get the word out, we will eventually flood the earth with Sactionals. They can (and should) be in every home. They will all last for decades. Not only will this grow our business exponentially and create hundreds of jobs along the way, but it will ultimately reduce the frequency of couches filling up our landfills because Sactionals are built to last, designed to adapt to life as it comes, and we will continue to make them even better. Let’s get the word out! The world needs this!! We aspire to build Lovesac into company as longstanding and as legendary as Disney. In the 1950’s, 60’s, 70’s, or it would have probably seemed logical for a mega-corporation like ABC to buy Disney someday. Instead, fast-forward 30 years and Disney owns ABC, ESPN and is generally taking over all of entertainment. We don’t know exactly what our future holds, but everyday you are writing our story—and Lovesac’s future may be even brighter than you think. 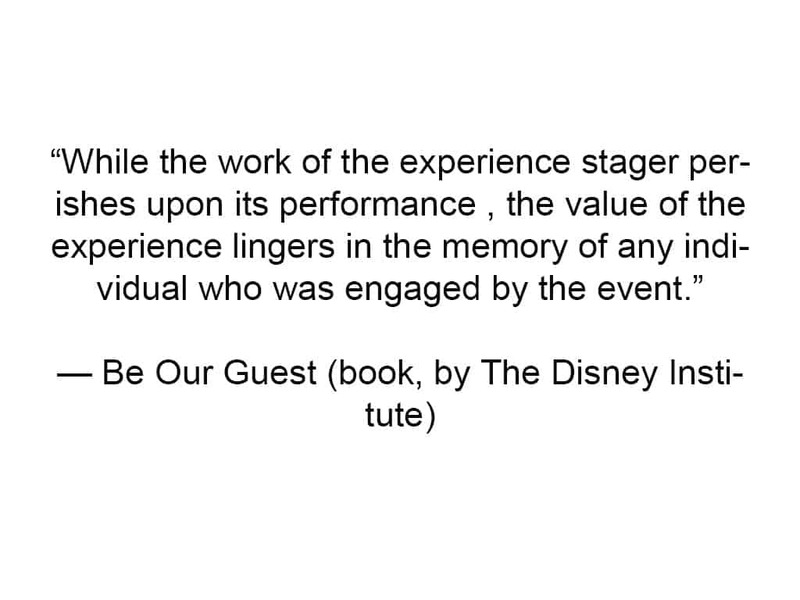 As the quote above calls out, even to this day, with its global scale and massive financial power—Disney owes its success to each guest’s experience with the brand. It was the same then and it is the same now. 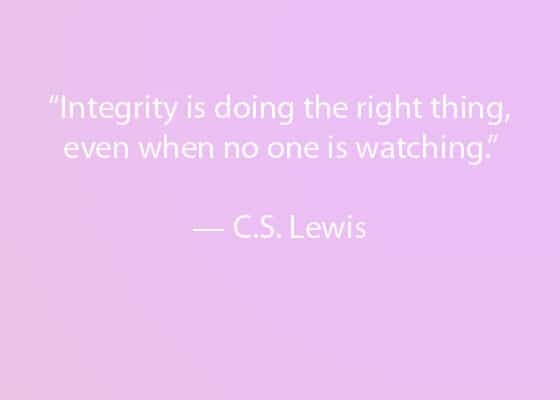 The will always be true for us at Lovesac. As exhausting as it is to do these demo’s all day long, to fluff Sacs over an over again, or to maintain a genuine interest in each customer’s personal lives and home decor, that is exactly how we’ll get to where we’re going. And when we finally get there, it will be your fault. You are Lovesac. 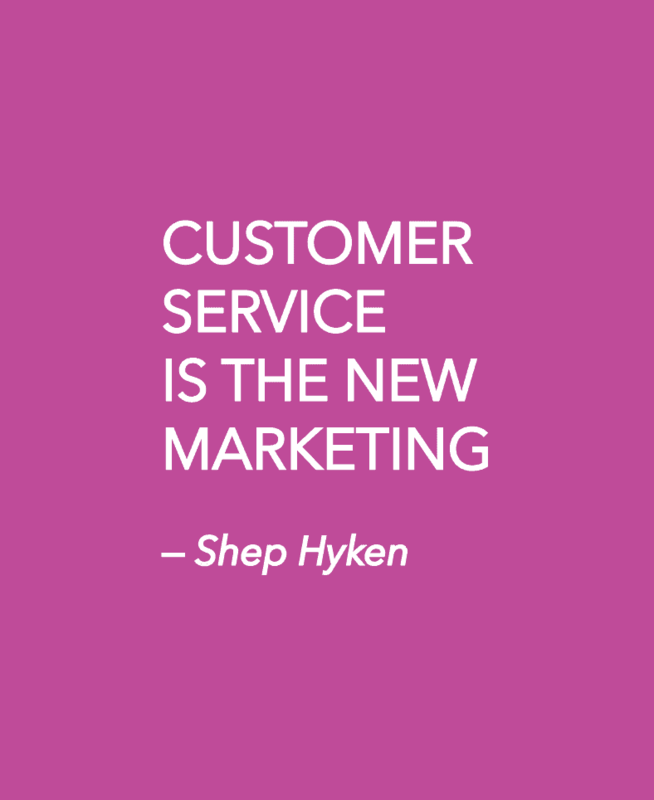 The customer in front of you is the only thing that matters. My biggest frustration at the moment is that I cannot possibly use email or even video to paint a clear picture for all of you, as to just how much is being accomplished right now here at Lovesac HQ. Our plans for 2015 are not only thoughtful and well prioritized, they are totally achievable with the people and resources we have as we go forward. Lovesac is becoming a bigger company and with stores all over the country, an extremely highly trafficked website, and ambitions to cultivate lifetime customer relationships, it is increasingly complex to coordinate the systems, policies, and processes necessary to manage our growth rate across all fronts…but it is happening. The progress we will make this year—even in the first half of this year will be staggering. You will witness all of it. You will be the ones to make it happen. 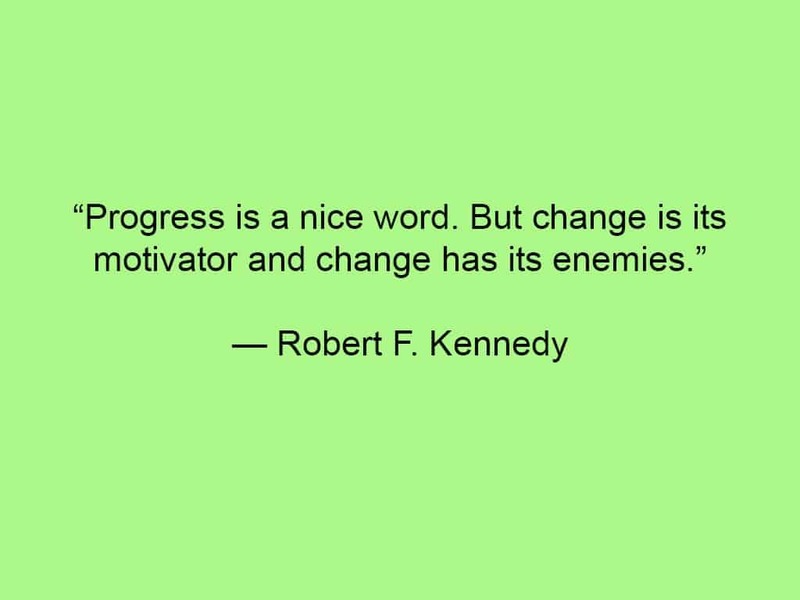 But, as RFK so aptly explains in the quote above—this much progress cannot come without enduring significant change. So just roll with it. Have just a little bit of faith, and you will find that not only will everything be alright, everything is about to get awesome! In crafting ads or print materials for Sactionals, the hardest part for us is never finding something compelling to shout about—its choosing which thing to shout about to which audience. Washable? Switcharoundable? Changeable? Durable? Comfortable? Expandable? Moveable? Lovable?… and the list could go on and on. There’s never enough room to really show them all. Sactionals are an embarrassment of riches. And in terms of the quote shared above, Sactionals are not only an idea that should generate enthusiasm—they’re a great idea as well! We truly do have an embarrassment of riches. So find that enthusiasm and bring it out this (and every) weekend. Its our first huge budget for the year and we’re going to hit it! In all honesty, our success as a business thus far has not come from our product. It has always been your energy and enthusiasm that has built this company from nothing and made many thousands of people love you, and love our brand because of YOU. They deserve to be set free to live the life they love…but first they need to know its possible. That is all you. That is why I Lovesac. That is why I push so hard. People deserve this in their lives…they just don’t know it, unless you’re good enough to make them listen. Free the people from the furniture that is currently oppressing them (without their even knowing it). You will hear plenty on these topics over the next 12 months—so for now I’ll just let you think about those and what they mean to you and your business, here at Lovesac. But there is one last key detail about a great funk tune that cannot go unappreciated. Whether its the bass guitar that drops out, or even the drums—somehow that driving funk beat never stops carrying the crowd from start to finish. Whether the band is all-in at its thickest, or currently in a sparse rhythm section, that pounding beat goes on and it goes hard. That beat for us is our weekly sales budget. We live and die by it. We all pay our rent by it. We all literally eat by the strength of that driving rhythm. While we should be excited about the many great things that are to come, we are also responsible to build our various organizations within Lovesac to be ready for that swell ahead. Its a lot to manage. But along the way WE CANNOT DROP THAT BEAT. We must hit our sales plan. We will hit our sales plan—we will even exceed it. This is the most important thing that you can do right now to bring our long-term vision to life. That is what we will do in 2015. And if you feel like this is all just hype? It has been my experience that when I’m really strong—when I’m really on my game, I’m up early, meditating, working out, reading, and on some sort of rigorous routine—with little compromise. 2015 is still young and, if you like, our “new (fiscal) year” hasn’t even begun. Totally still time to make some resolutions—or even reset to some more realistic ones. 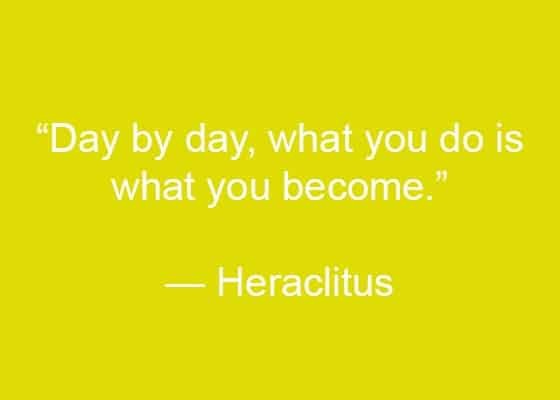 So figure out a regimen that works for you. Get on it, and stick to it! The sharper you are, the sharper we are. It is a new year. Please take a step back and look at what you’re doing to achieve results—in life and at Lovesac. If they’re not coming, maybe there’s another approach. Take a moment to think—to ponder. To be totally open-minded and explore new and creative approaches. Be humble enough to ask and to learn from what others are doing. 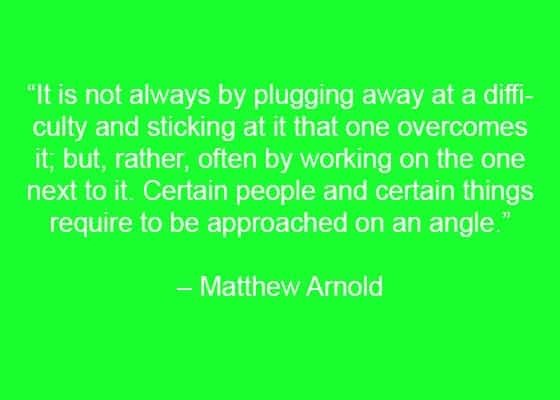 If the results are coming, then put your head back down and just keep plugging away. We’re all in this together, we’re all putting food on each other’s tables. Thank you all for creating a great culture, a great company, and a Lovesac family. Merry Christmas to you and your family. May you bask in the spirit and love of the ones you love most during this magical season. Merry Christmas from the Nelsons!!! At the time I was making plans to register Lovesac as a company I was one of those “cell phone guys,” working in a kiosk! I was always striving to reach my monthly sales quota, month after month, and I learned quickly that sales won’t just happen if I show up at my post or if I’m really, really nice to everyone. 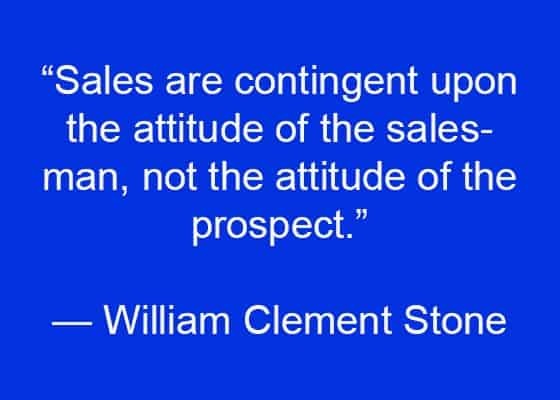 Sales are made—or they’re not. In that environment it became obvious to me that some were closers and some were just talking to people. Much of our being able to claim a “successful” 2014 relies on us capitalizing the outsized traffic and the mindset of the people that are flowing through the malls and on the web right now—and over the next couple of weeks. Now is the time for closers. If you are one—show up. Stay on point. 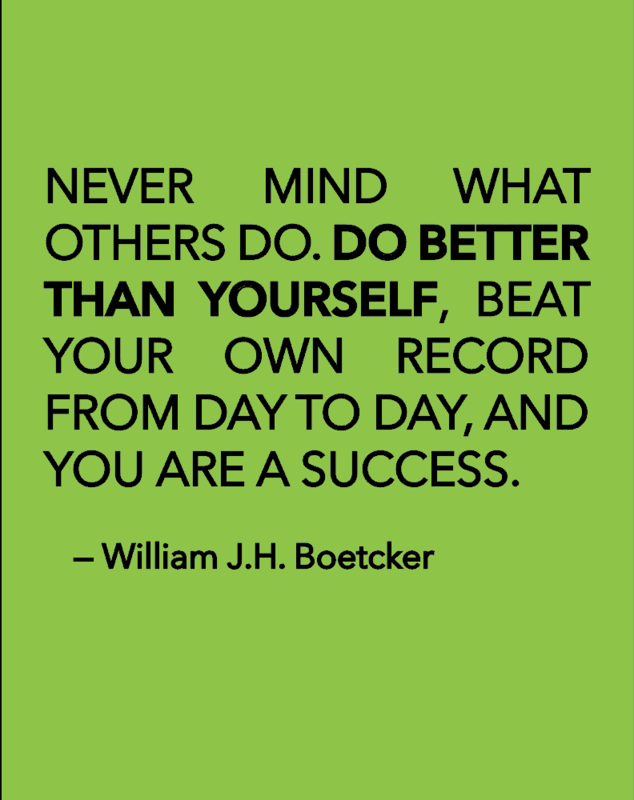 Be at your best each day! If you are not one—latch onto one, be humble enough to learn quickly and push yourself out of your comfort zone. Now. And while you’re at it: HAVE A MERRY CHRISTMAS AND A HAPPY HOLIDAYS! This will never not work. But do you have it in you to go the distance…and then go a littler further? Trustworthiness. Its a permission-to-play thing here at Lovesac. With so much autonomy here, we’re all counting on each other to live up to this one. Any breech of this value sets us all back, every time. This is one of those quotes that just sticks with you. 1. Do you know what you want to do here—what you need to do? Get clear—asap. There are so many ways to interpret this quote. It is a really good one. 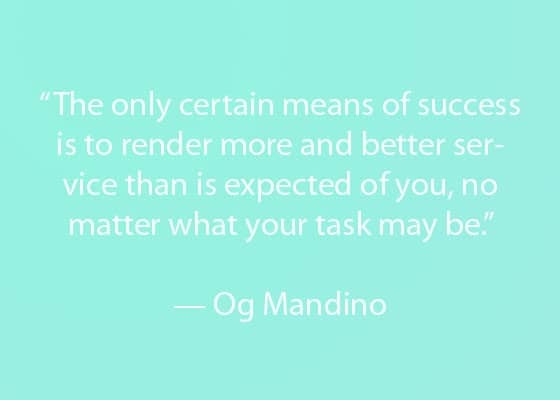 For me, this quote captures at least one element behind my desire to always spend sufficient time on the front lines—speaking with our customers and working with the talented Sac’rs who work with them all day every day. If we are a Sactionals company then it is pretty imperative to be handy with the Sactionals in order to lead, in any capacity here at Lovesac. The same is likely true for every company in my opinion. How well do you know your product? How good are you at using it yourself? How good are you at selling it, explaining it, showing it, or troubleshooting it, yourself? 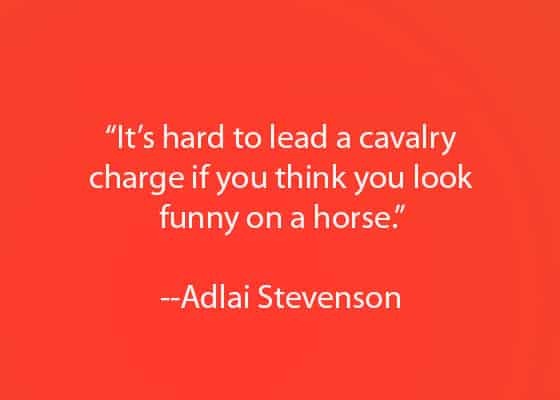 If you have trouble in any of these areas—you might look a little funny on a horse. Yesterday was just one of those days where at around 6pm, as I thought about what was going to happen for dinner, I realized that I had forgotten to eat lunch. I believe that most people in this world watch the clock. But there are fundamentally two kinds of clock-watchers: Those who look at the clock as if every minute is an eternity as they wait to get off work or get to their next thing—and those who feel they can barely afford the moment that it takes to look up from what they’re focused on, already knowing that there will certainly not be enough time to even get done what needs to be done. 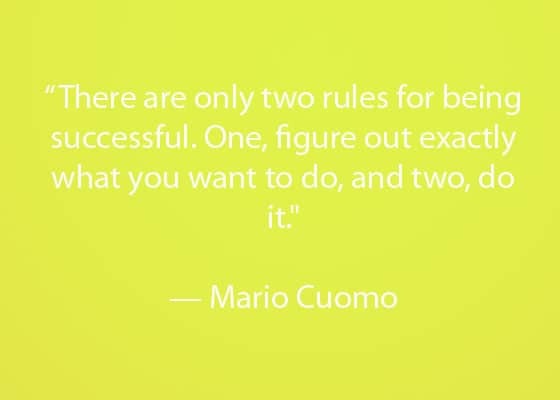 If you want to work at a company that is different and does truly unique things then you must be different and try to do things in a truly unique way. Often we pine for a place where things are better, or different, or more fun, but when it comes down to it we don’t behave that way. It doesn’t just happen–you need to make it happen. Organizations aren’t just cool–they are made cool–not just by the ideas and actions of one, but by the ideas and actions of everyone. That is culture–and you are a part of it. What are you building? Ralph Waldo Emerson was one of the great thinkers in modern time. If what he puts forth is true, then this logic follows: If you have something great to achieve—it cannot happen without enthusiasm. 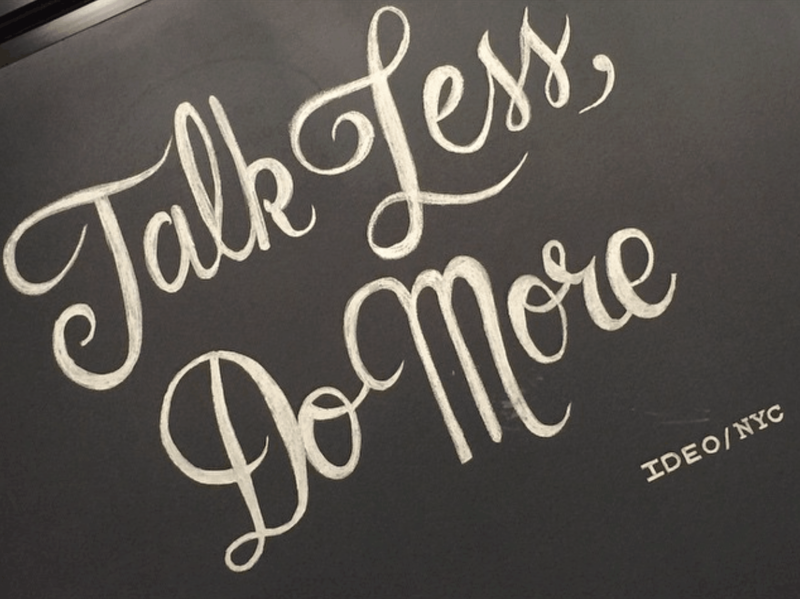 We have great things to do….both in terms of absolute scope and impact on people’s lives. It takes every one of us. I don’t mean to sound irresponsible, but man—we could all use a bit of luck sometimes. Maybe if we push ourselves just a little bit harder, it will come our way. Upon reflection, it seems to have worked many times for me. What’s only good, that you could give up to make room or make time for something great? Think about it. I am. I read something else this morning that reminded me so much of a lesson I’ve seemed to have learned over and over again. As many of you know, there were a few points in my little “Lovesac story” where things got really hard—seemingly impossible—where I really did decide to give up, thinking, “This cannot possibly work, and it would be a waste of my time and money to try to force it.” But somehow I still took the next step anyway. Over and over again, I have seen that most of the great turning points in my own life came AFTER I reached that point of total abandon…and after I fought my way through it anyway. If you ever find yourself facing a seemingly insurmountable, maybe even a seemingly impossible task or goal—just find a way. What seems to be a mess—the end—may just be the exact opportunity you’ve been waiting for. Go back and muscle through it. Stick with it and find a way to make it happen—against all odds, even if it seems like a battle you’ll surely lose. What seems like the end of the road will quite often turn out to be the fork in the road that takes you to a more amazing place than you could have imagined before seeing it through. 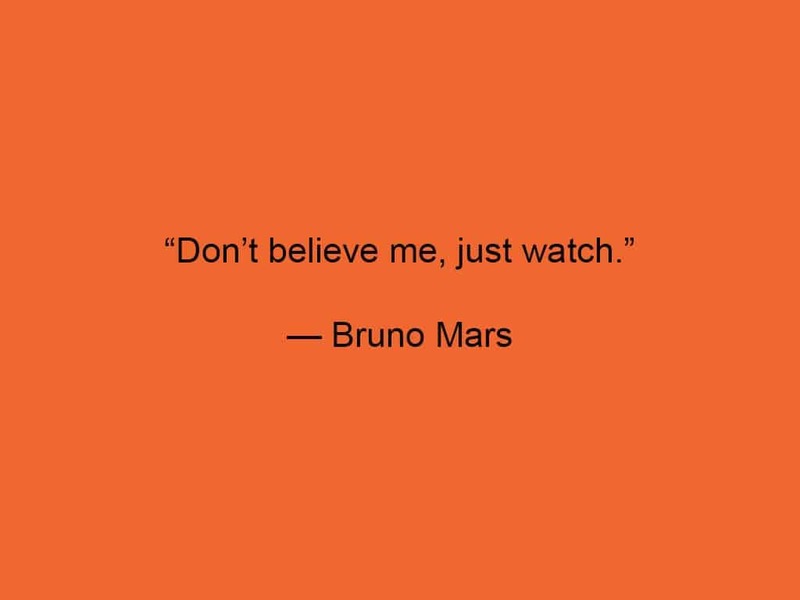 I have seen it over and over again…and I still have to remind myself of this when I face these moments.